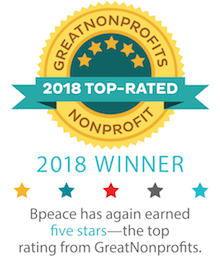 Bpeace volunteers and Traveling Mentors have helped Claudia restructure bank loans, develop new products, improve her packaging, and introduced her to U.S. importers. Claudia M.P. – Santa Tecla, Clothing Production. 22 employees. Claudia is working with her brother to produce high-end children's clothes for export to the U.S. market. Bpeace is counseling Claudia on expanding and improving her production capacity and developing a strategic growth plan. Bpeace traveling mentors visited Claudia in March 2012 to assist her with her production issues. Claudia A. – San Salvador, Call Center. 118 employees. 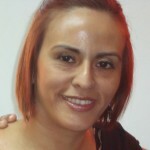 Claudia is the owner of a call center and collection agency. Claudia traveled to the U.S. with Bpeace in September 2012 to visit call centers and learn about implementing industry best practices and strengthening human resource management. Claudia W. – San Salvador, Furniture Production. 11 employees. 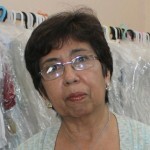 Claudia and her husband, Harry, are the principals of one of the first Salvadoran design firms to establish a presence outside of Central America. Bpeace is counseling Claudia and Harry on strengthening her firm’s marketing practices and improving carpentry production. 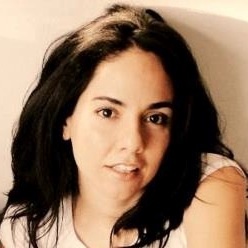 Bpeace has recently coordinated meetings for Claudia at U.S. design firms. Luis Enrique – Santa Tecla, Food Processing. 64 employees. 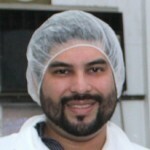 Luis is producing prepared and refrigerated products such as salads and sauces at his family-owned business. 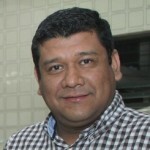 Luis is working with his Bpeace consulting team to introduce an ethnic Salvadoran candy line, expand his production capacity and implement customer research activities such as focus groups. 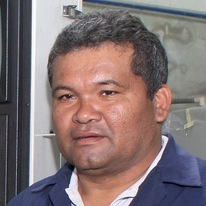 Victor – San Salvador, Mold Manufacturing. 21 employees. Victor is the owner of a co-op that produces plastic injection molds. Bpeace is helping Victor improve several operational areas such as production quality and technical knowledge, customer service, human resources, and management leadership. A Bpeace member visited Victor in February 2012 to train his staff on mold-making. Alfredo – Santa Tecla, Bakery and Restaurant. 74 employees. Alfredo’s restaurant is reputed to make the best pupusas in the country. Bpeace is assisting Alfredo with bakery production, restaurant operations, and family succession. Two Bpeace experts visited Alfredo in September 2012 to assist him in implementing restaurant best practices. Herbert – San Salvador, Shoe Manufacturing. 11 employees. Herbert’s business is manufacturing shoes for children and adults. 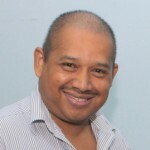 Bpeace is assisting Herbert with increasing his production capacity and improving his sales and marketing activities. In May 2012, Bpeace members visited Herbert to counsel him on production and marketing issues. Alcides – San Salvador, Food Production. 32 employees. Alcides is an ice cream manufacturer that sells to small shops in low income neighborhoods through a fleet of ice cream vans—the driver is the distributor, salesperson, and payment collector. Bpeace is counseling Alcides on improving his ice cream formulations, decreasing his costs, strengthening his brand identity, and developing a business plan. A Bpeace Travelling Mentor spent time at Alcides' business in September and showed him new production techniques for cost-saving.